Want to get free ski lessons? 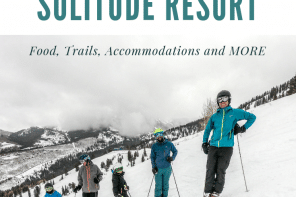 Keep reading to find out about how to score some up at Snowbasin Resort. 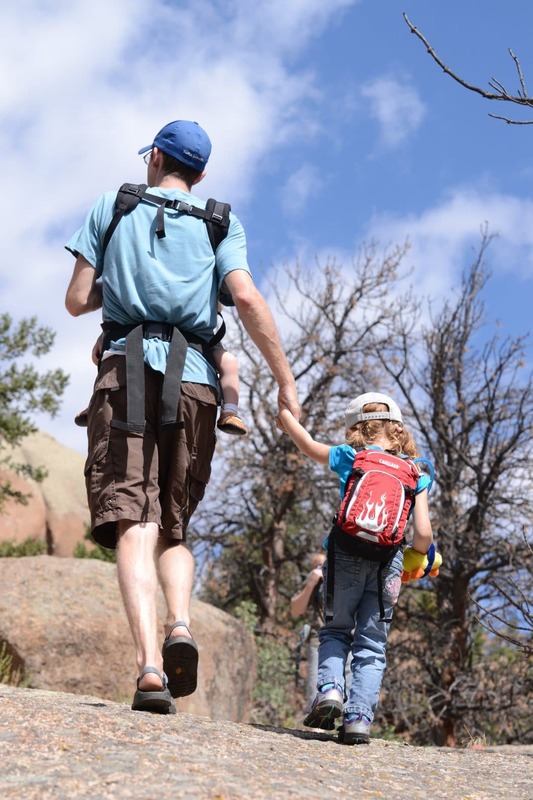 So you’re planning you next family ski trip and want to make sure that everyone gets started on the right foot. 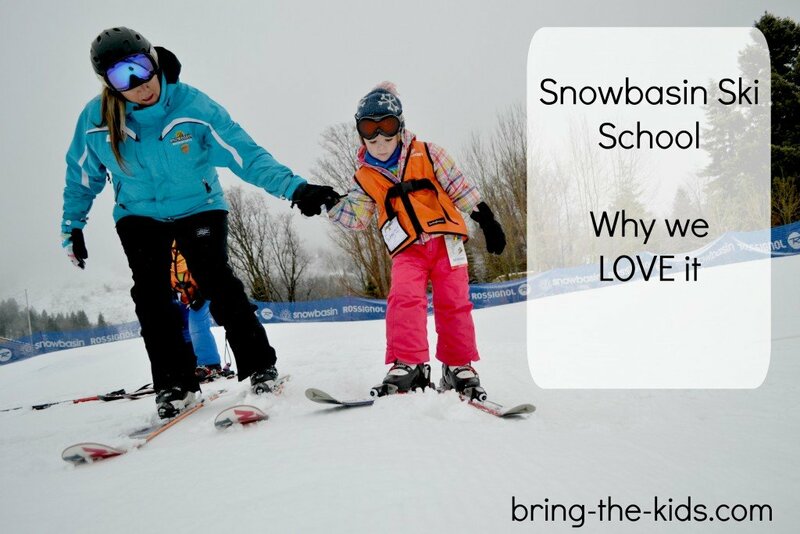 Ski school is something that the whole family can benefit from, and with new instructing techniques, everyone’s going to be learning faster than ever. We just got the privilege of being introduced to Snowbasin Resorts Terrain Based Learning program. After spending some time learning about the program and getting some first hand experience seeing the ins and outs of it all, I’m sold that this program works well and fast. With Snowbasin’s new program, even first time skiers will be gliding down rollers, cruising over bumps, and leaning into turns from the very beginning. Small features build confidence and get skiers and riders comfortable with their surroundings (all while learning A TON). 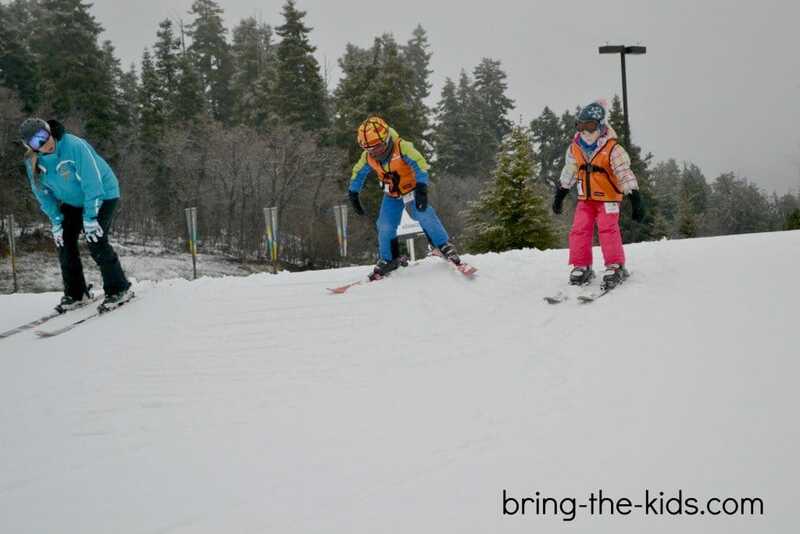 “The goal is to get skiers on the snow and moving” said Lisa Bybee a ski school instructor. “Once people are on the snow and feel how their skis move underneath them, it’s much easier to get them to relax and have fun with it all than you would find in a traditional lesson”. It’s true. In no time at all, my kids were cruising through a mini park and bouncing across rollers. 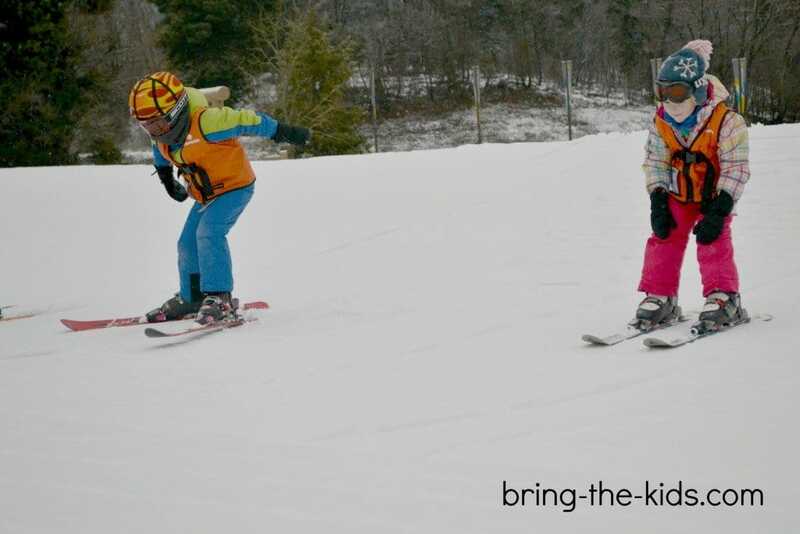 They thought that they were having a race, but in actuality, they were learning how to carve their turns and correct their balance –something that they would struggle with learning from a standard lesson on a gentle groomed trail. Don’t tell them they’re learning –they think it’s all about the play! This program takes the principle of distraction to a whole new level by applying it across the board to all levels of their ski school. I can see this program being a hit for anyone, but especially for nervous skiers and riders! At Snowbasin, you’ll see skills taught on just about every terrain feature that you can find on the mountain from man-made jumps to trails through the trees and natural half-pipes. The result? A faster, efficient learning process that’s going to leave everyone in the class with a huge smile! Want to try it for FREE? This Friday January 16th, Snowbasin will be offering a FREE terrain based learning class, and Little Cat lift ticket to the first 25 people who sign up in person before 9am (excludes rentals). It’s a great opportunity to check out this awesome program!! 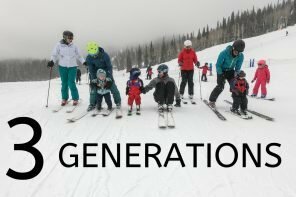 A Multi-Generation Ski Tradition: Why We’re Committing to Skiing with 3 Generations! !